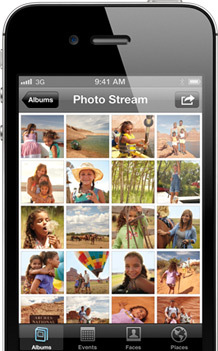 Apple - iPhone 4S - The best of everything. Built right in. Shoot 8-megapixel photos and 1080p HD video. See your favorite people with FaceTime. Browse the web. Send messages, messages, and more messages. Check your email and calendar. Listen to music. Watch movies. Oh, and make phone calls. It’s the best of everything. Built right in. It just might be the best camera ever on a phone. You can expect a few things from this 8MP camera with all-new optics. Like better shots in low light and better shots in lots of light. More color accuracy, reduced motion blur, better exposure, and a lot more focus on faces with face detection. Expect to take it everywhere, pull it out anywhere, and shoot just about everything you see. And expect beautiful, braggable, framable photos. Film your life in 1080p HD. 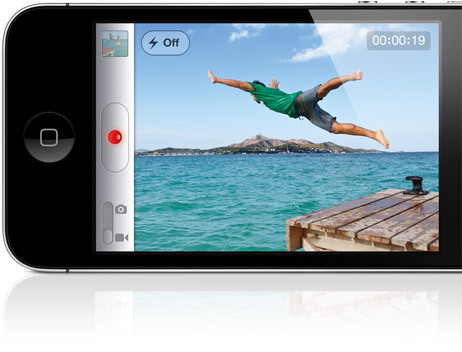 Now you can shoot and edit 1080p HD video. From your iPhone. Film your favorite people, your big adventures, and the small stuff you see every day. And it will all be even clearer, bigger, brighter, and more entertaining than you remember. to be there to be there. 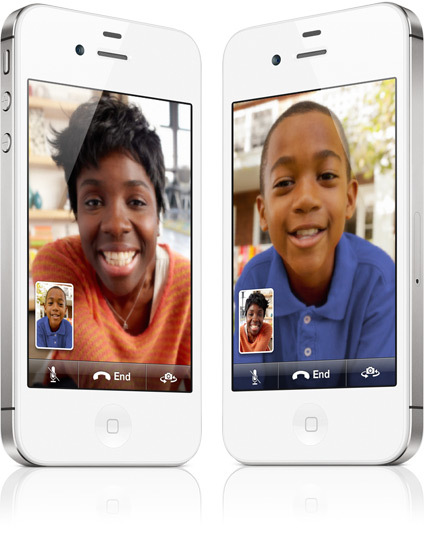 FaceTime lets you see your favorite faces more and miss them a little less. Just tap FaceTime or ask Siri, and your iPhone places a FaceTime call to someone else’s iPhone, iPad 2, iPod touch, or Mac over Wi-Fi.1 And you’re face-to-face, just like that. Say hi to your family across the country. Show up to a meeting across town. Catch up with friends wherever they are. Drop in, hang out, and stay as long as you want. Unlimited texts between iPhone, iPad, and iPod touch. 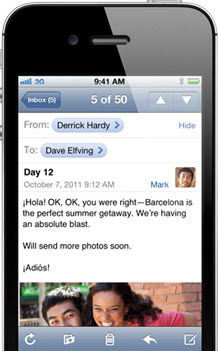 Sending messages with iMessage is even better than texting. 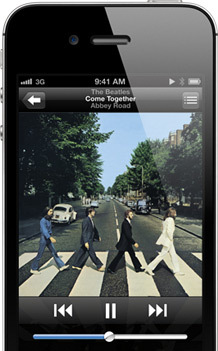 Because it’s unlimited.2 And it works between you and anyone on an iPhone, iPad, or iPod touch running iOS 5. So text all you want. Send videos, photos, locations, and links to friends. And keep everyone in the loop with group messaging. This could be your new favorite way to say everything and anything. To anyone and everyone. 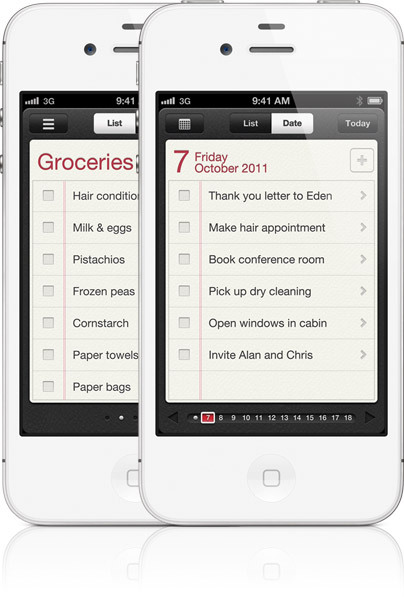 Make all kinds of to-do lists for anything you can think of. Then add deadlines and locations. Even set alerts. Or just tell Siri, “Remind me to take out the trash” or “Remind me to pay my phone bill Thursday.” And suddenly, everything you have to do seems a lot more doable. 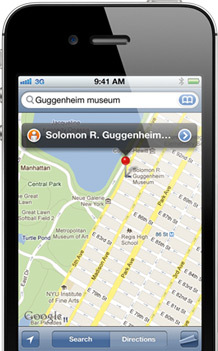 iPhone does so much amazing stuff, it’s easy to forget the remarkable phone part. 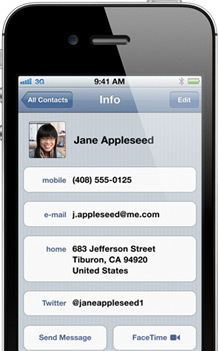 See your voicemail messages in a list so you don’t have to listen to them all. Place calls with a tap. Or ask Siri to do it for you. Keep up with your messages as fast as they hit your inbox. See all your mail from every account at once. Type with the onscreen keyboard that knows how you write. And view and open attachments right in the message. 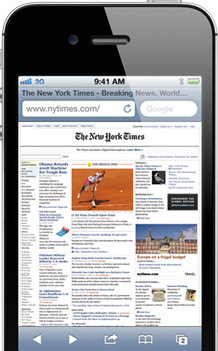 Browsing is a big deal on iPhone. Reader shows you the web without distractions. Reading List keeps all your interesting links in one place. And the Retina display makes everything a fascinating read. When you flip through your album art in Cover Flow on the Retina display, you’ll see just how incredible your music collection really is. Listen to your favorite songs, artists, or albums. Shuffle up some spontaneity. Or make a Genius playlist. There’s comedy, drama, or adventure anywhere you go. Watch an HD movie on a flight. Catch a TV show on the subway. 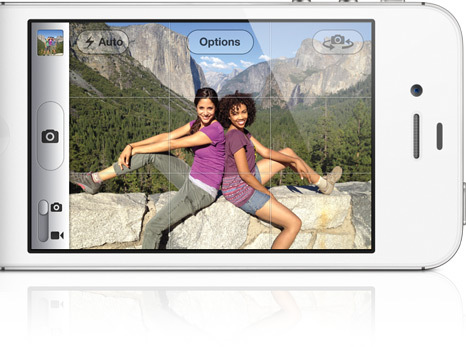 The Retina display makes iPhone the world’s most portable, most beautiful silver screen. It’s the world’s largest collection of mobile apps. 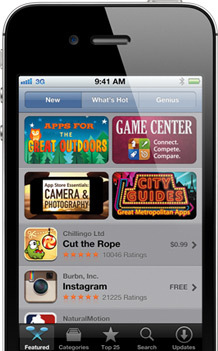 You’ll find over 500,000 apps on the App Store for anything and everything — and many of them are free. 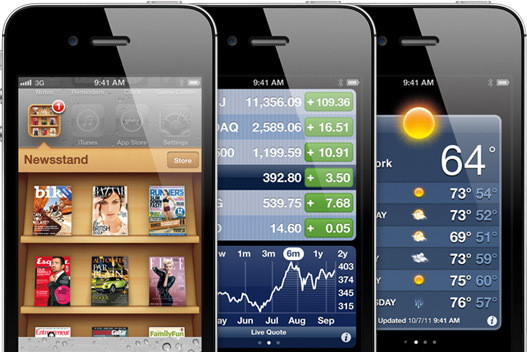 With each app you get, your iPhone does even more. So you can do even more, too. 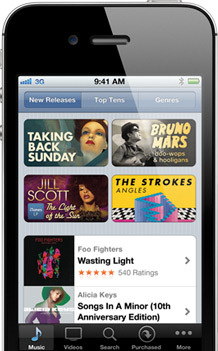 You’ll visit the iTunes Store over and over to fill your iPhone with endless entertainment. Browse around. Millions of songs and thousands of movies and TV shows are ready to go. Whenever you are. You’ll always know where you are, where you’re going, and how to get there. And where to find gas stations, coffee shops, and landmarks along the way. You’ll see the best routes leading everywhere. All while avoiding traffic. Get a game going with friends. Or go up against people you don’t know. 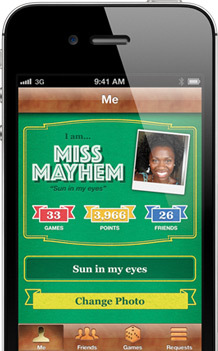 Then one-up their every move on iPhone, iPad, or iPod touch. You know, in a fun kind of way. Bring on the busy. 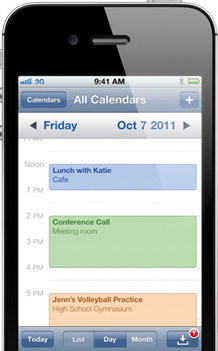 Your work, home, school, and fun schedules are easy to read and easy to manage on iPhone. Even when everything happens at once. Names, numbers, email addresses, IM nicknames, birthdays, anniversaries, websites, and anything else you can think of about everyone and anyone you know. Here are more apps that go way beyond handy. Keep all your news and magazine subscriptions in Newsstand. Watch a lot of a little entertainment on YouTube. Take notes. Record voice memos. Do quick calculations. Check the weather. And keep tabs on your stocks. 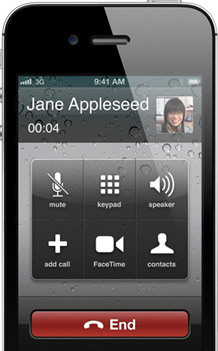 Requires a FaceTime-enabled Mac with an Internet connection or a FaceTime-enabled iOS device with a Wi-Fi connection. Not available in all areas. AirPlay is compatible only with the second-generation Apple TV. 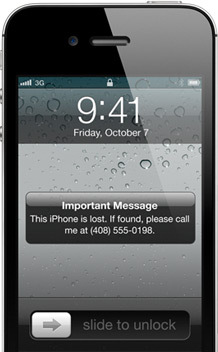 Find My iPhone is not available in all countries.